Size advice - the number is the waist size and the letter denotes the length R = 20", L = 22". 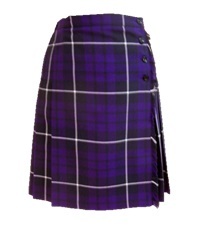 We try to keep in stock the sizes listed above, however we are also able to get skirts made-to-order in other sizes, but this could take up to 12 weeks, depending on the time of year. Please call our offices for more information. Last order date to guarentee a particular size for a September start is the 30th June. PLEASE DO NOT LEAVE IT UNTIL AUGUST TO BUY A SKIRT FOR A NEW STARTER OR IF YOU DO NOT HAVE ONE THAT FITS. If you miss this deadline and we sell out of a size it may be October before we can re-stock.